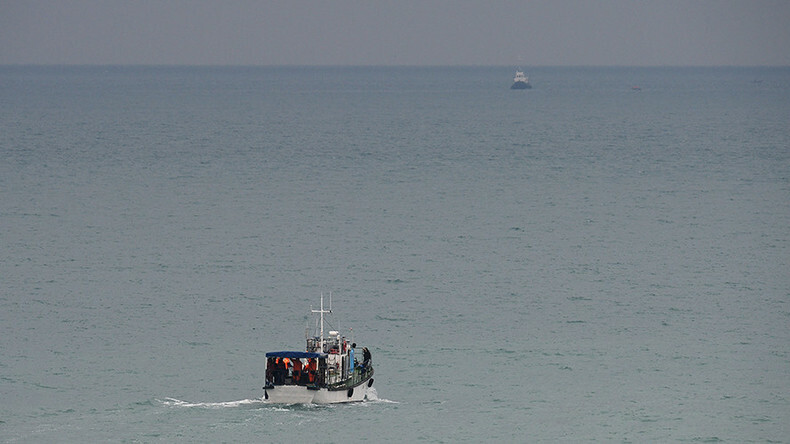 Search operations in the Black Sea are continuing, as rescuers recover the bodies of victims and debris from a Russian military plane that crashed en route to Syria. Most of the passengers on the Tu-154 were members of the famous Alexandrov Ensemble army choir. 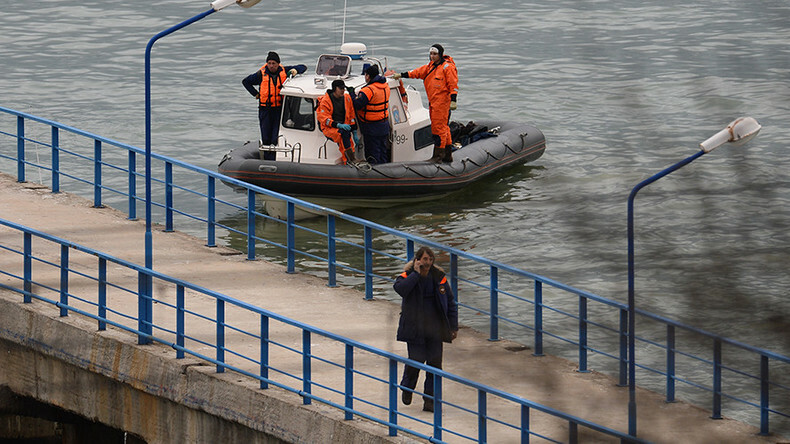 Eleven bodies were found and transferred to a morgue in Sochi by Sunday night. At dawn, search and recovery operations are set to resume on a greater scale, Deputy Defense Minister Ruslan Tsalikov said. According to the latest information, the Tupolev transport plane had 92 people on board, including 84 passengers and eight crew members. It went missing over the Black Sea at 2:40 GMT shortly after refueling at an airport near Sochi. Most of the passengers on board were members of the Alexandrov Ensemble, the official choir of the Russian Armed Forces, the Russian Defense Ministry said. They were travelling from Moscow to the Russian military base Khmeimim near Latakia, Syria to take part in a Christmas celebration with troops deployed there. The head of the choir, conductor and composer Valery Khalilov, is among over 60 members of the ensemble killed in the accident. Helicopters dispatched from Sochi to search for the aircraft have discovered the debris of the crashed plane, the ministry reported. “Hull fragments of the Tu-154 plane operated by the Defense Ministry have been found about 1.5 km off the Black Sea coast of Sochi at a depth of 50-70 meters,” the ministry said in a statement. Rescue services are now scanning the presumable crash site of the Tu-154 in the Black Sea, Interfax reported, citing the Russian defense ministry. “Vessels equipped with side-scan sonars are checking the topography of the seabed in the area,” the ministry is quoted as saying. Around 3,000 people are involved in a search and rescue operation in the 10.5 square kilometer area, the defense ministry announced. The 24/7 operation is being conducted by 32 vessels with over 100 divers on board, unmanned flying vehicles, and multiple helicopters and planes, officials announced. Head of the Russian Transport Ministry Maksim Sokolov said that so far the rescue workers have found no survivors from the Tu-154 crash. “Unfortunately, no survivors could be found as of yet,” Sokolov told journalists after a meeting of the state commission on the investigation of the accident. He added that investigators are looking into all possible causes of the crash, but it is still “too early” to pinpoint. "The Investigative Committee is looking at various theories. Naturally, it is considering the entire spectrum and any possible reasons that might have led to the crash," Sokolov said. Officials are not considering a terrorist act to have been the prime cause of the incident, a security source told Interfax. It added that the crashed plane was initially supposed to refuel in the city of Mozdok, North Ossetia, but due to bad weather redirected to the airport at the Black Sea coast resort of Adler. "So, no one knew beforehand that the plane will make a stopover" in Adler, the source said. After landing the aircraft was guarded until it departed for Syria. TASS reports that weather conditions in the regions were “favorable” to aviation. No civilian flights have been cancelled. 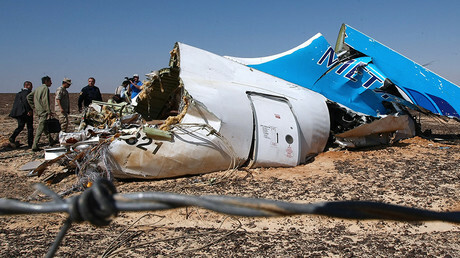 Russian President Vladimir Putin has expressed his condolences to the relatives of those onboard the ill-fated plane. “I want to express my most sincere condolences to the families of our citizens who died in the plane crash in the Black Sea this morning. The government will do everything to provide support. Tomorrow will be a national day of mourning in Russia,” Putin told journalists in St. Petersburg. Similar reaction poured in from the international community as well. “I express our sorrow to Russia – an important partner of Italy,” Italian Foreign Minister Angelino Alfano said as quoted by RIA. His words were echoed by other high-ranking international officials, including German Chancellor Angela Merkel. “In her [Merkel] thoughts, she is with the relatives of the deceased,” vice-government spokesperson Ulrike Demmer announced. Meanwhile people on social media are also expressing their grief over the tragedy. “A terrible catastrophe. Condolences to the family and friends of the victims,” one tweet said. “I express my condolences to the families of those killed in a plane crash! Eternal memory [to them]...!” another person wrote. "They are great professionals who always responded on a moment’s notice and worked in all of the hot spots,” Scherbakova told RT. She also expressed hopes that the young generation of Aleksandrov’s ensemble will “preserve the traditions” of the unit. “We lost them, it’s terrible,” a famous Russian poet Ilya Reznik who wrote songs for the Alexandrov Ensemble, told journalists as he fought back tears. The Tupolev Tu-154 is a three-engine medium-range transport plane designed in the 1960s. It is capable of carrying up to 180 passengers, depending on the version. There are about 50 aircraft of this type remaining in operation throughout the world, with the Russian Air Force having the biggest fleet. The plane that crashed near Sochi was a Tu-154B-2 with registration number RA-85572. The passenger capacity was boosted to 180. The aircraft has been in service since 1983, according to the online registry russianplanes.net. The defense ministry said the plane spent 6,689 hours in flight. Over the decades, there have been around four dozen fatal incidents involving the aircraft, most of which were due to pilot error or improper maintenance. One of the most widely publicized crashes happened in 2010 near Smolensk, Russia, when a Tu-154M of the Polish Air Force carrying Polish President Lech Kaczynski and his entourage crashed in foggy weather, killing all 96 people on board.